Since July we have alerted our readers to a breakout in gold and silver prices as we expected a risk on rally in commodities with the catalyst being QE3 combined with worldwide stimulus moves from Central Bankers. Since that time silver has soared 30% higher almost 10 straight weeks in a row as Bernanke announces a QE 3, 4, 5+…? and record low interest rates until mid 2015. Silver has been outperforming gold over the past 10 weeks as investors are hoarding and buying poor man’s gold to hedge against worldwide quantitative easing and pump-priming being implemented by Central Banks around the world to devalue their respective currencies. The Bank of Japan joined the Fed, ECB, China, South Korea and others by announcing an aggressive stimulus program. This is extremely inflationary and bullish for gold and silver and bearish for the purported safe havens namely the U.S. dollar, long term treasuries, Euro, Yen and Yuan. Remember Japan is the third largest economy in the world and they are currently facing an economic slowdown, rising electricity prices due to increase oil imports and is in the midst of a territorial dispute in the South China Seas with China. Japan is mimicking Bernanke’s QE decision last week to attempt to devalue their currencies to boost exports. The Japanese stimulus is massive and will now total nearly 20% of Japan’s total economy. The U.S. dollar is falling as these drastic moves were much bigger than the consensus expected. The move in silver bullion is very strong with a series of impressive moves higher. The Asian nations are hungry for silver as investors anticipate inflation from these massive stimulus programs. This upward move in bullion is being reflected in an emerging gold and silver producer operating right here in mining friendly Nevada. Silver mines around the world are facing the rising threat of resource nationalism. We only need to look at recent current events and press releases from companies operating in Bolivia, Argentina, Peru and Guatemala where plenty of silver is intended to be produced. For many months, we have warned our readers about the rise of resource nationalism due to the local governments wanting a larger cut of the profits due to rising mineral prices. Many mining investors have been burned by jurisdictions where dictators have taken over mines right at the point as they are on the verge of production. For many months, we have been researching gold and silver plays in mining friendly jurisdictions such as Nevada that have both blue sky exploration potential and near term cash flow from production. 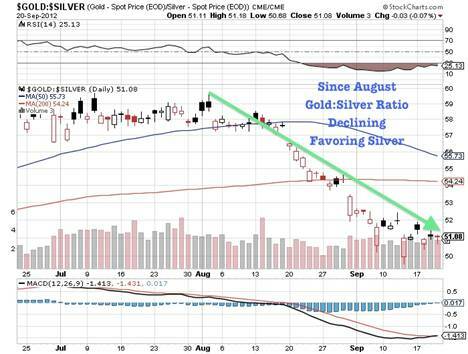 Unbeknownst to many, we have silver opportunities right here in the United States which is on the verge of profitably producing gold and silver within days. Investors do not need to worry about mine expropriation, kidnappings or violent protests.